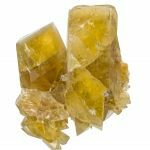 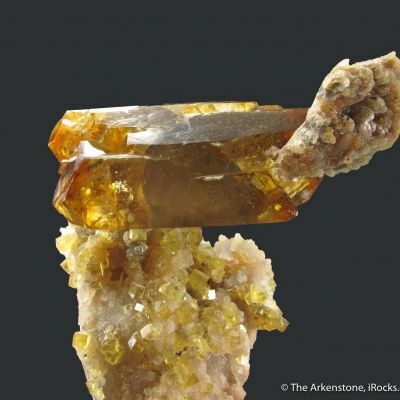 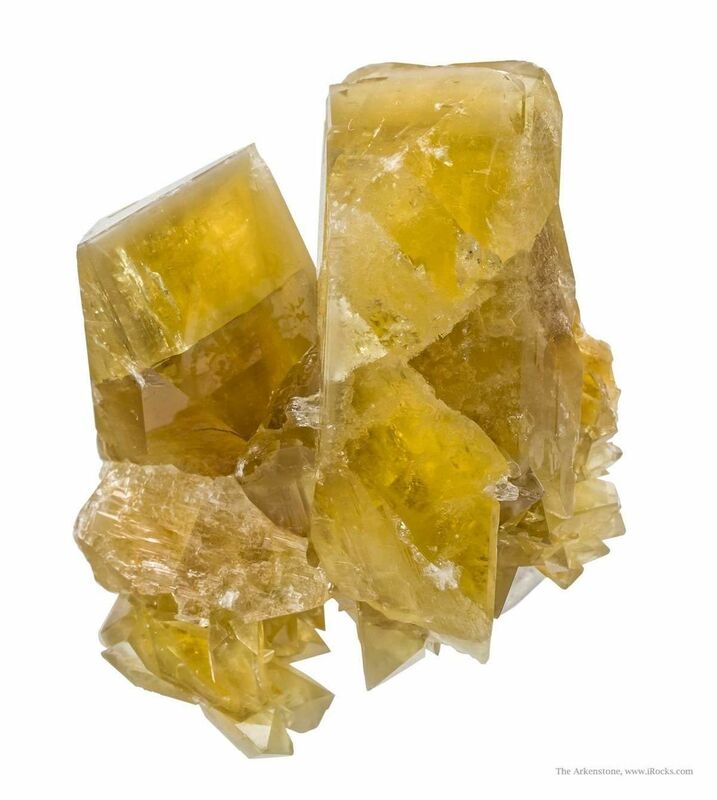 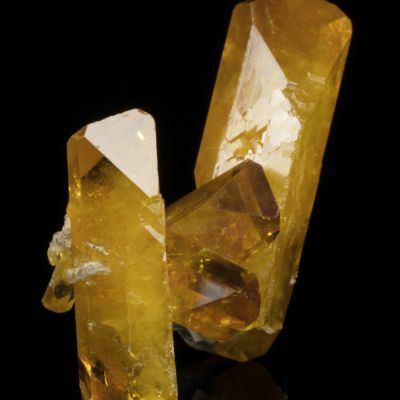 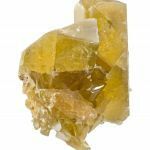 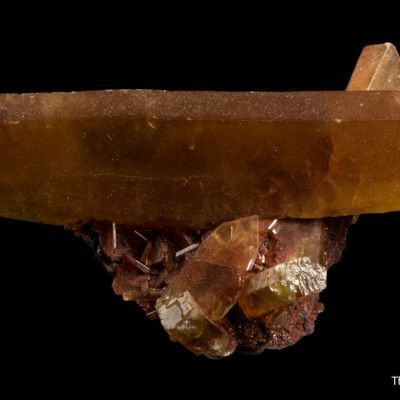 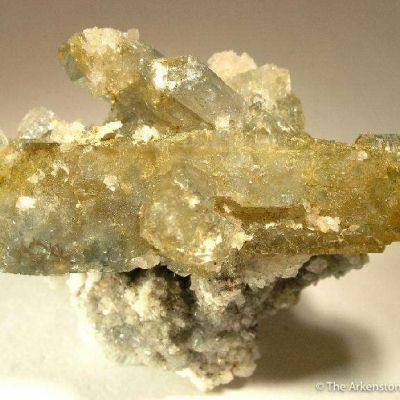 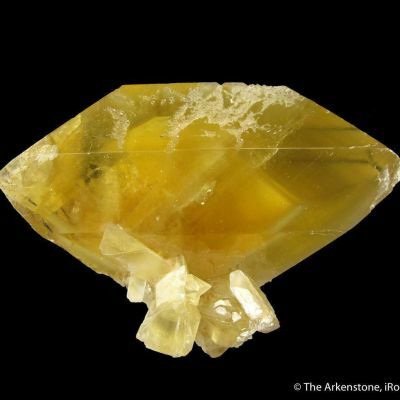 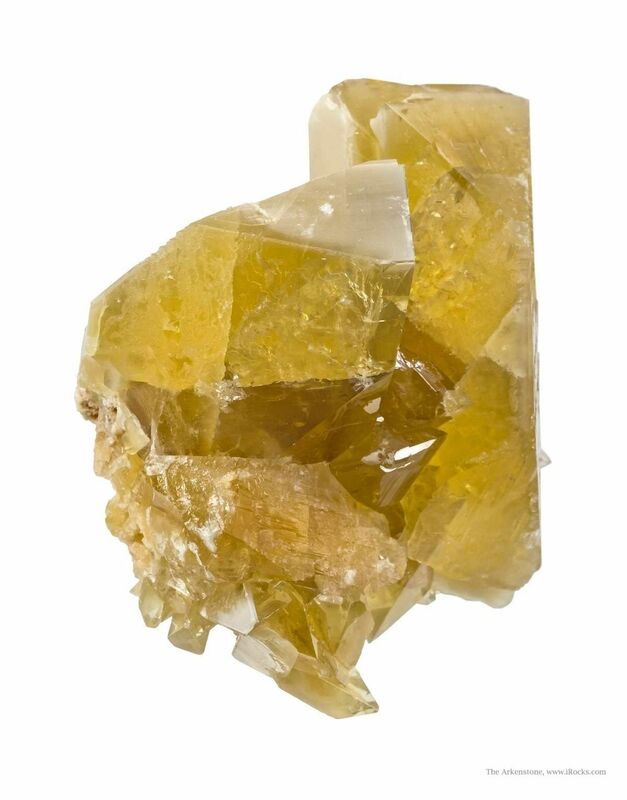 A cluster of lustrous and translucent, bright amber-colored Baryte crystals to 6.7 cm in length is highlighted by the largest crystal, which is also doubly-terminated. 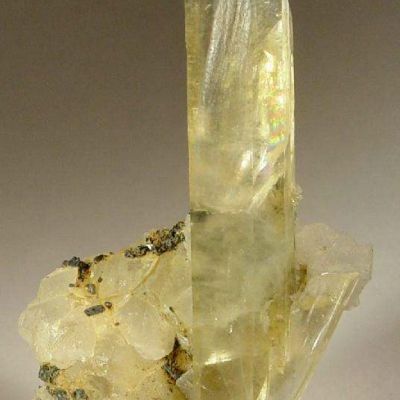 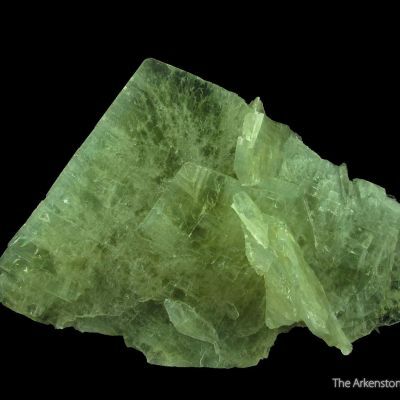 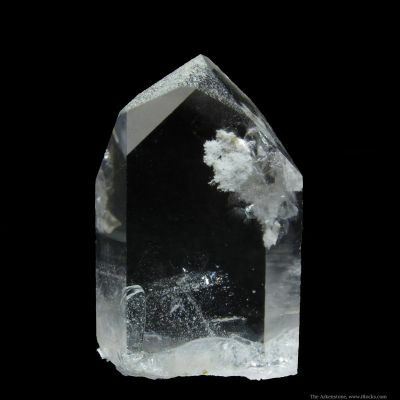 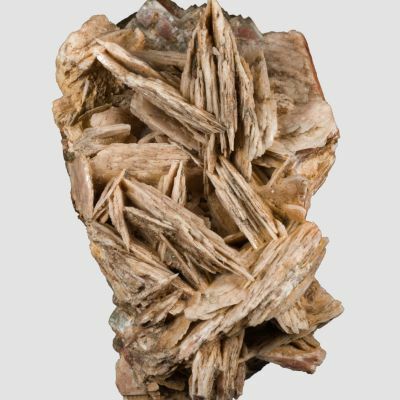 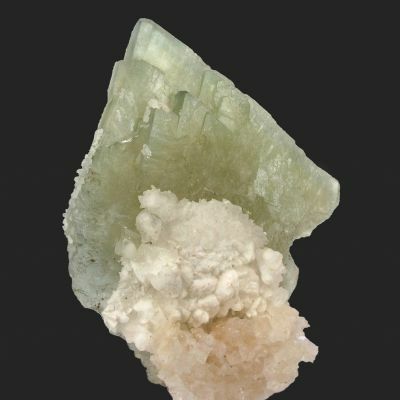 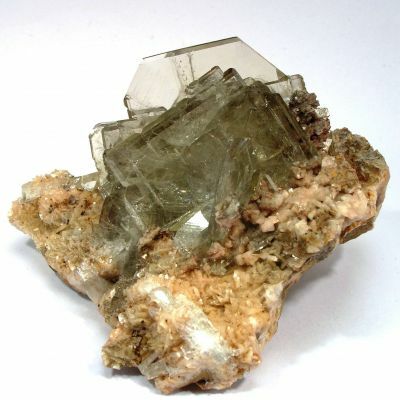 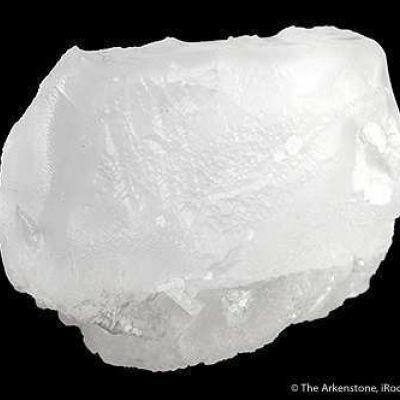 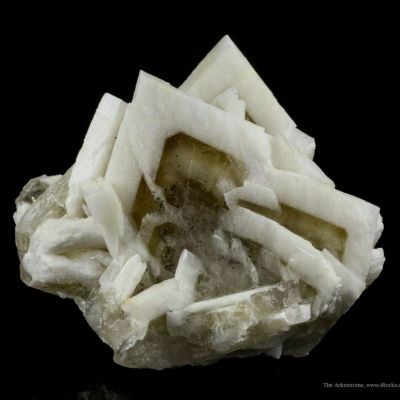 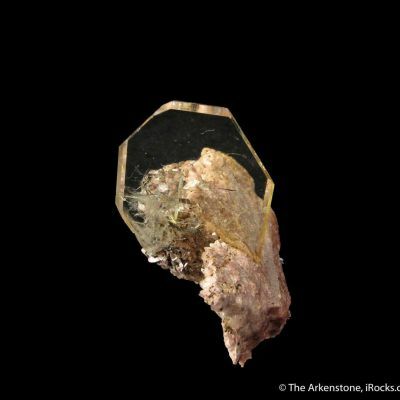 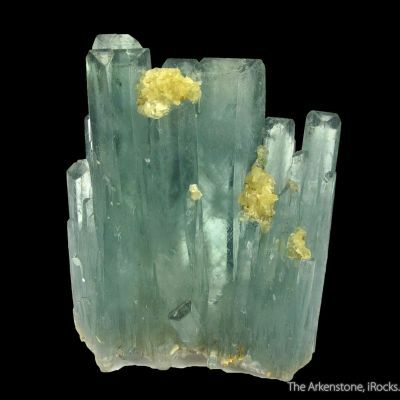 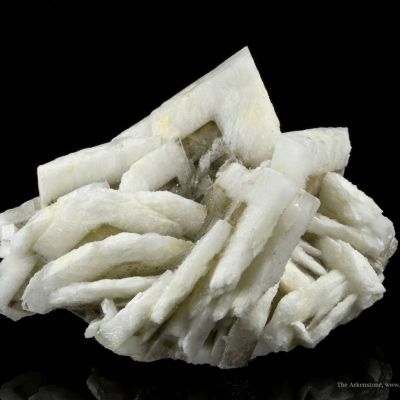 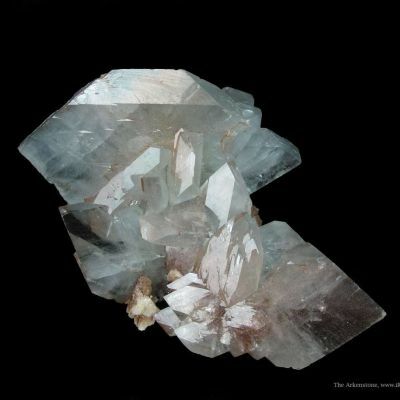 The larger crystals are characterized by cloudy white "pyramid shaped inclusions" on the back side of the terminations, for unusual effect. 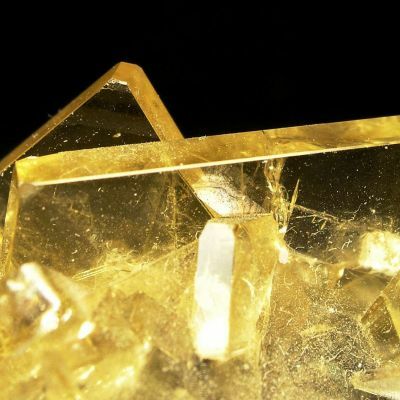 Classic! 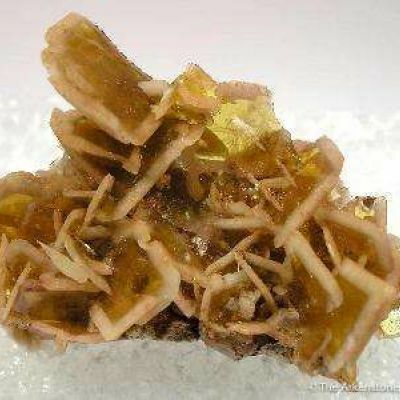 As a rule, these are not usually found with such consistent, deep color. 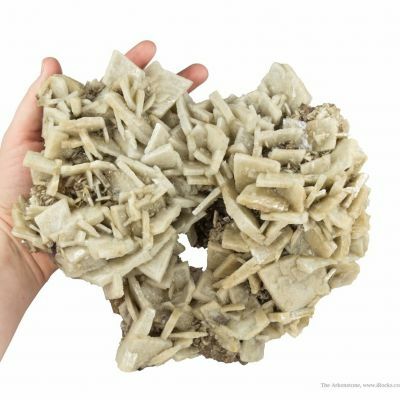 An old piece from the old dealer inventory of Herb Obodda.